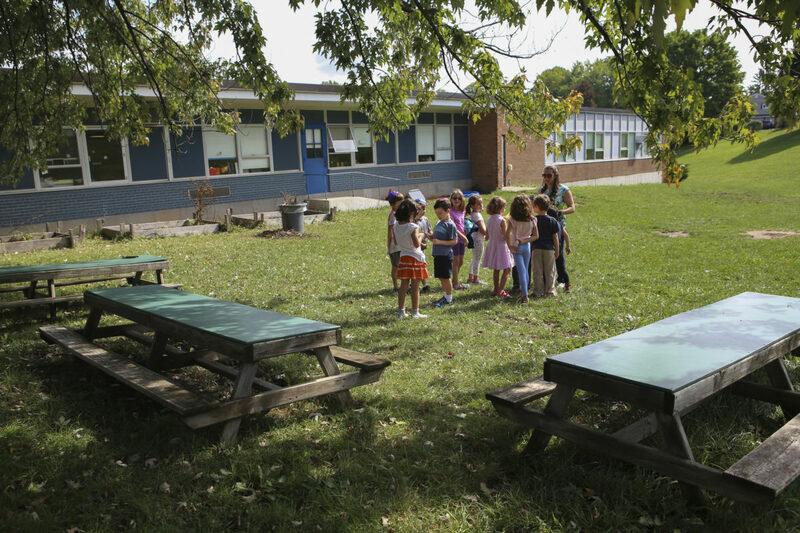 Syracuse Hebrew Day School opened 56 years ago with one English teacher and one Hebrew teacher off of the belief that the survival of Judaism relies on educating young Jewish children. The school now has 43 students. 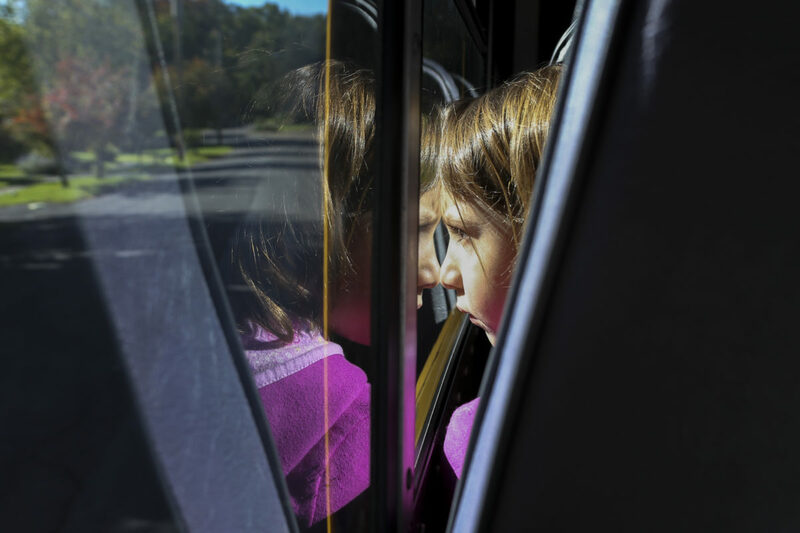 First-grader Tammy Greenblatt enjoys the bus ride to school on October 13, 2016. Students arrive at 7:55 a.m. to start the day off with an all-school assembly. 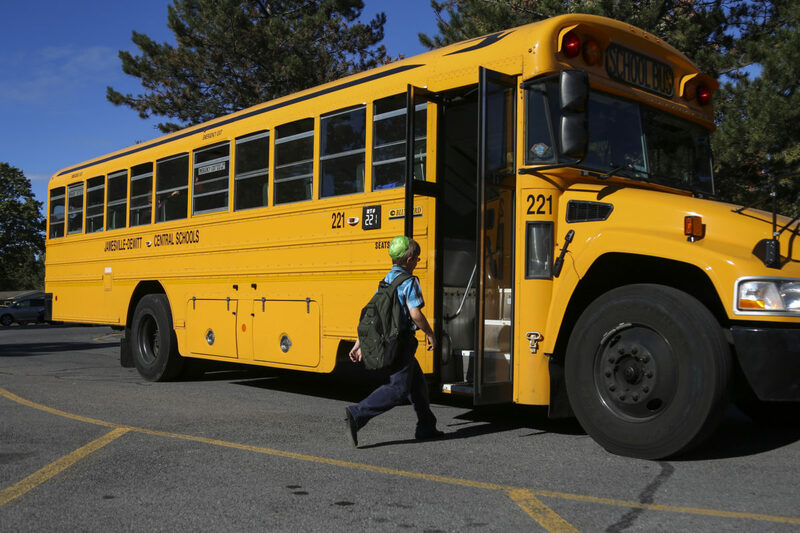 Because of the small class sizes, the community is close-knit. The first and second-grade classes line up together after recess on September 19, 2016. Mrs. Rose reads a story to her kindergarteners, Samuel Vickery, and Rafi Shenberger. Kindergartener Samuel Vickery sits in the class pet's play pin on September 27, 2016. The class pet guinea pig, Cutie, rarely gets to roam around the classroom, but Mrs. Rose feels it is important for the students to learn about responsibility and care through nurturing Cutie. 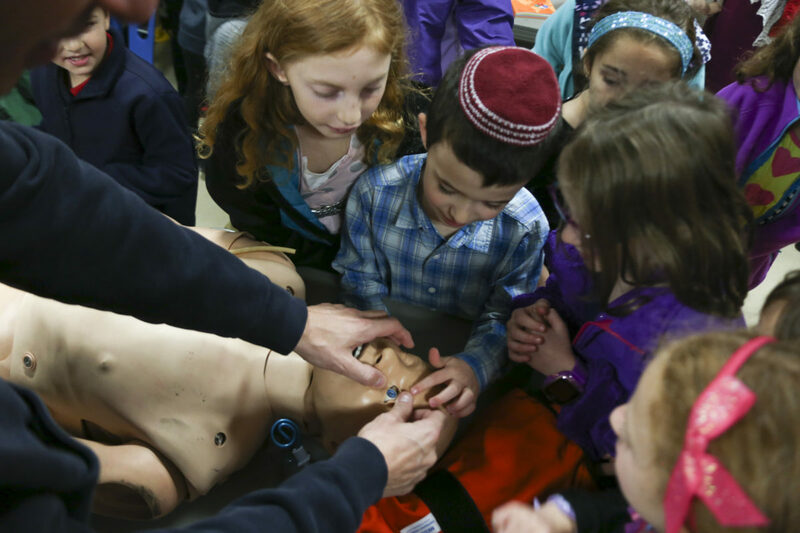 During a field trip, Isaac Bloom plays with a dummy at the Dewitt Fire Station that firefighters use to teach CPR. Due to the dual curriculum with both general and Judaic studies, learning opportunities are vast. The dynamic program enables students to learn the Hebrew language as well as the history of the Jewish religion. 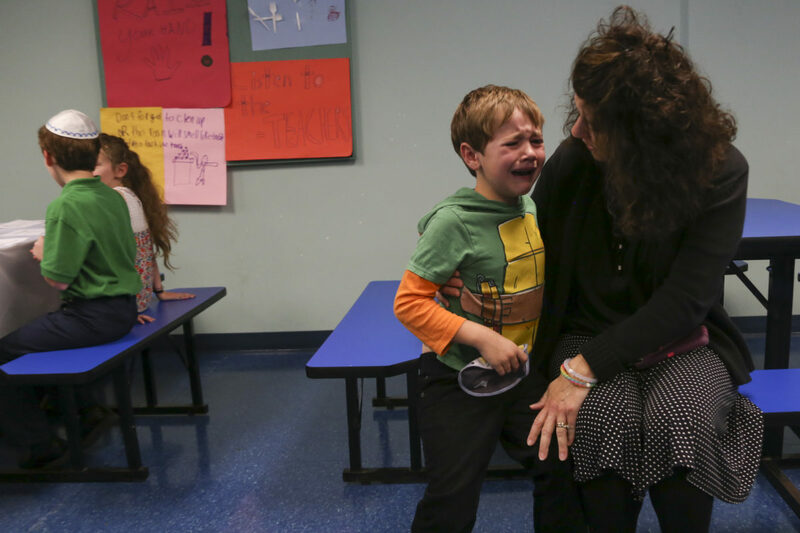 Mrs. Zames helps first-grader Isaac Bloom follow along with the class as they chant prayers during Hebrew on September 23, 2016. Students walk back to their respective classrooms after an all-school assembly while fellow Jewish Community Center members observe nearby. Mrs. Rose comforts Samuel Vickery after he ran into a bench during lunch on October 7, 2016. Head of School Lori Tenenbaum comments that she never liked the new addition of the tables, but they were a parting gift to her from the former head of school. Comforted by kindergartener Rafi Shenberger, sixth grader Sam Wells reads the blessing for young boys and girls during a school-wide Shabbat service on October 7, 2016. 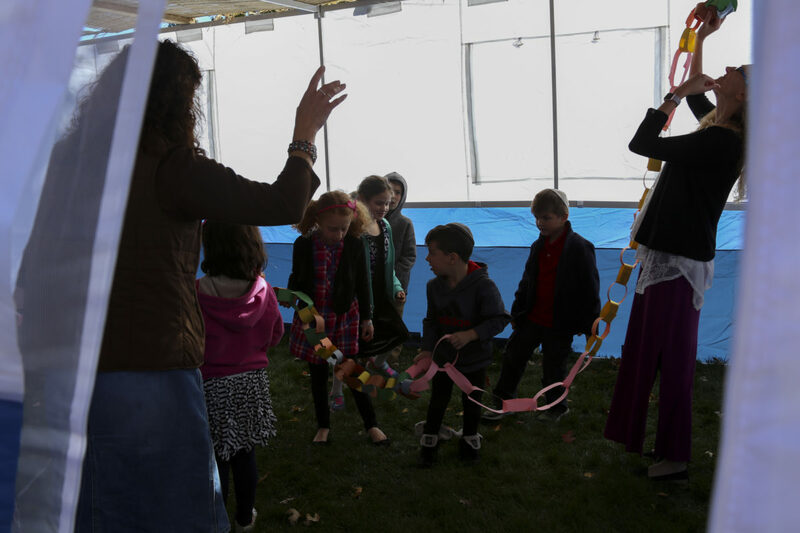 Mrs. Zames and Mrs. Rose help the kindergarten, first and second-grade class decorate the sukkah, a temporary hut used during the Jewish festival of Sukkot. Julia Zames grows engrossed in a film telling the tale of Rapunzel. 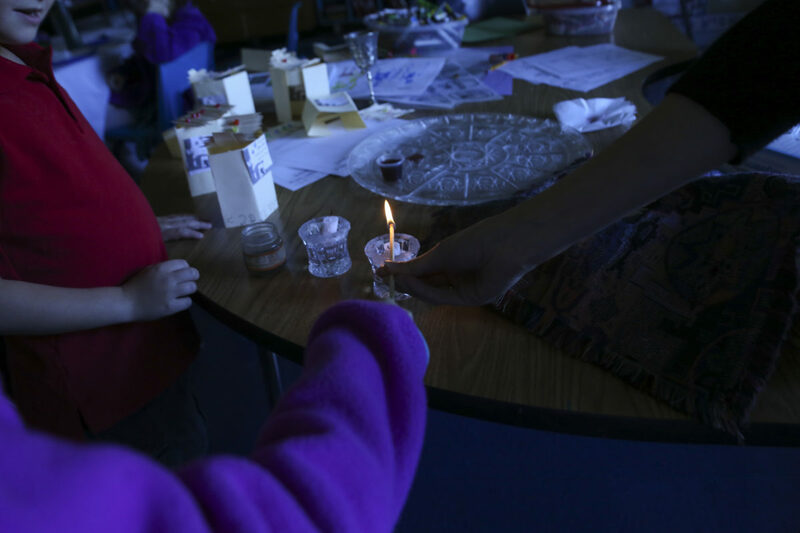 Second graders Jacob Fellman and Sydney Kanter close out the week by leading a prayer over the candles in a class Shabbat service on October 14, 2016. The smell of a brand-new box of Crayola crayons coexisting with the aroma of sweet challah, the sound of students ruffling in the hallway chanting Hebrew melodies, the sight of shelves stacked to the brim with books ranging from The Cat in the Hat to Noah’s Ark. 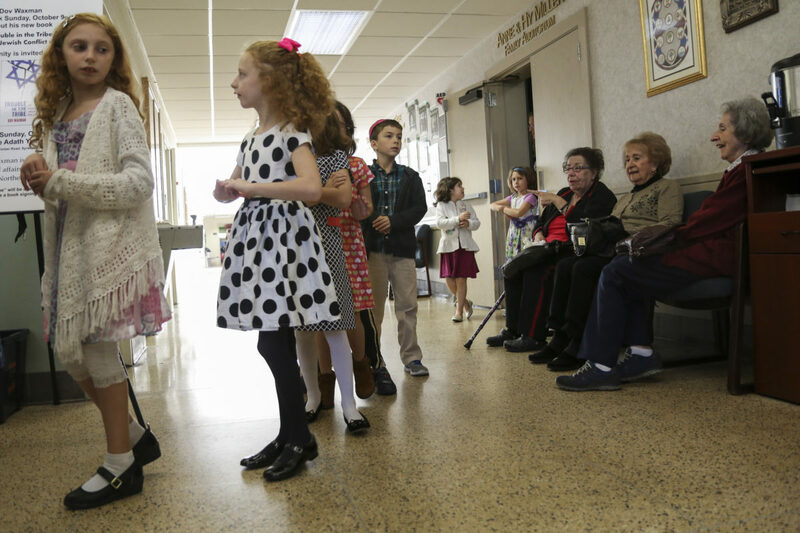 It opened 56 years ago with one Hebrew teacher and one English teacher, and now teaches a vibrant population of K-6 graders from the greater Syracuse area. Located within the Jewish Community Center of Syracuse, the school epitomizes “klal Israel,” the unity of the Jewish people amid the diversity of Jewish life. 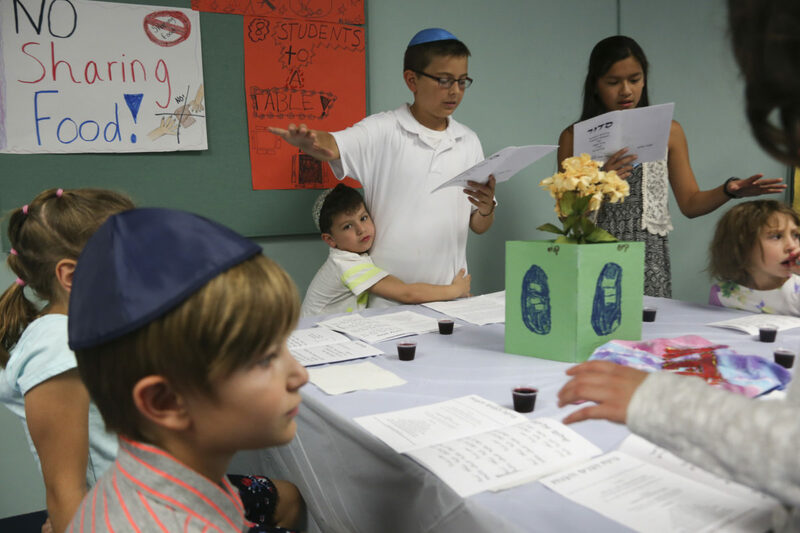 The dynamic program offers education in Language Arts, Math, Social Studies, Science, Art, Music and Hebrew/Judaic Studies, where students learn the Hebrew language as well as the history of the Jewish religion. 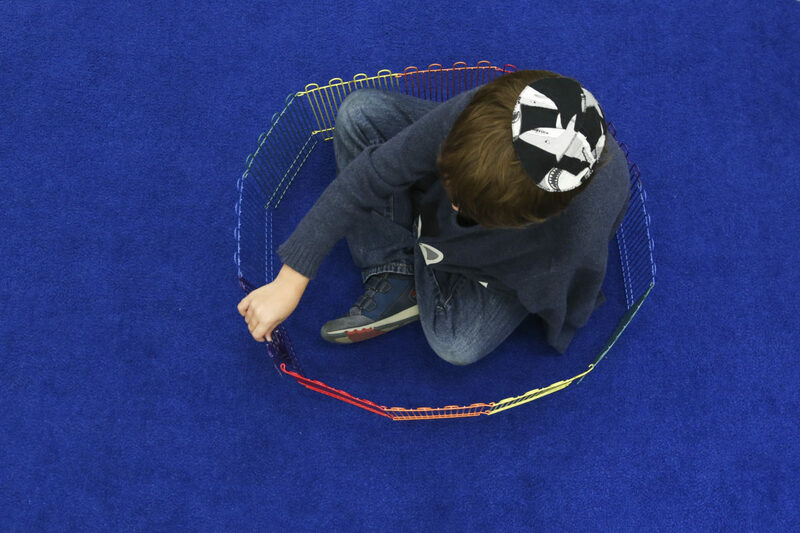 Building a strong individual identity from a young age, the dual teaching of Judaism and general education offers vast learning opportunities. The school is committed to instilling in its students an appreciation of their rich dual heritage as Jews and Americans. The small class sizes allow teachers to nurture the individuality of each student to make them feel valued and reach their full potential, turning the line leaders of today into the innovators of tomorrow.